Recruitment of employees becomes difficult when you do not have a professional support. To make the recruitment process easier for you, directly contact us. At AMI Placement Services, we are engaged in providing dependable recruitment consultancy services to the companies across New Delhi, India. As a recruitment consultancy firm, we have been catering to diverse industries efficiently. We recruit the most suitable candidates for different job posts at your company. Apart from this, we schedule the interviews with the candidates at a mutually-agreed date and time. 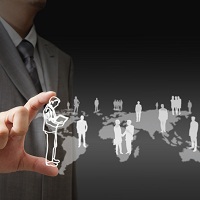 And, we help you in the entire procedure of selecting the right candidate for your company.